The Minimoog ! one of the synth that had the biggest impact in history of synths. This is a difficult task to emulate the moog sound with virtual synth, you have to take care of the electronic components and their characteristics. 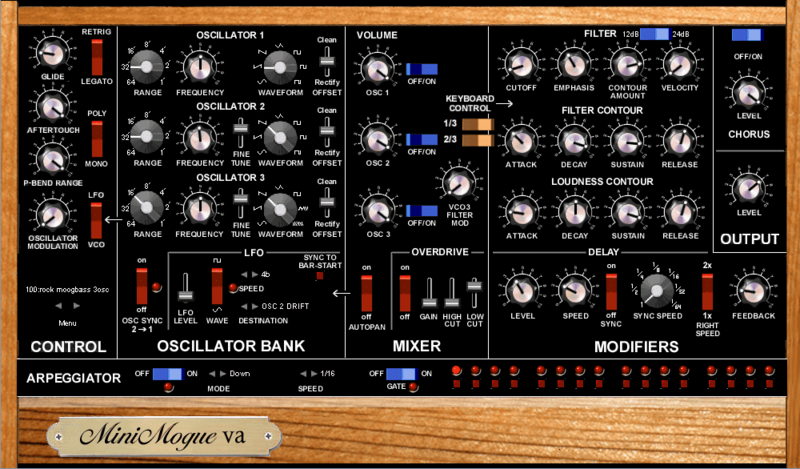 MinimogueVA : free miniMoog VST emulation! 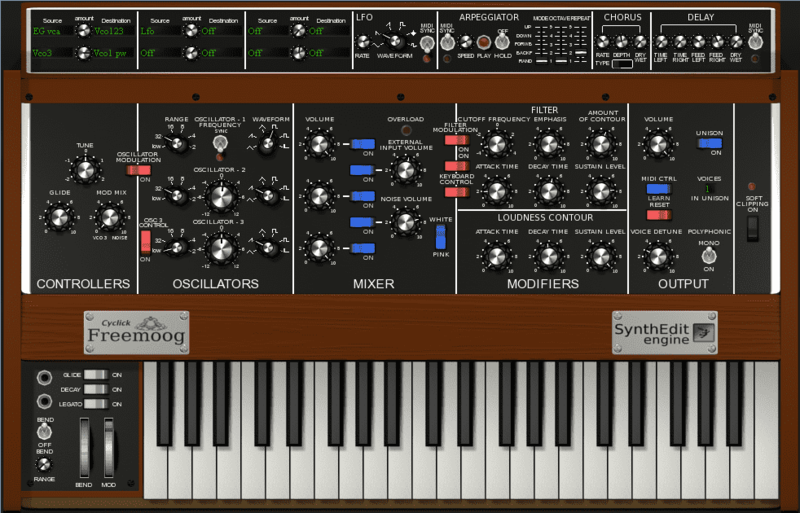 Based on the Richard Brooks synthedit sources of “mogue”, this is a very nice VST emulation of the famous miniMoog synthesizer. 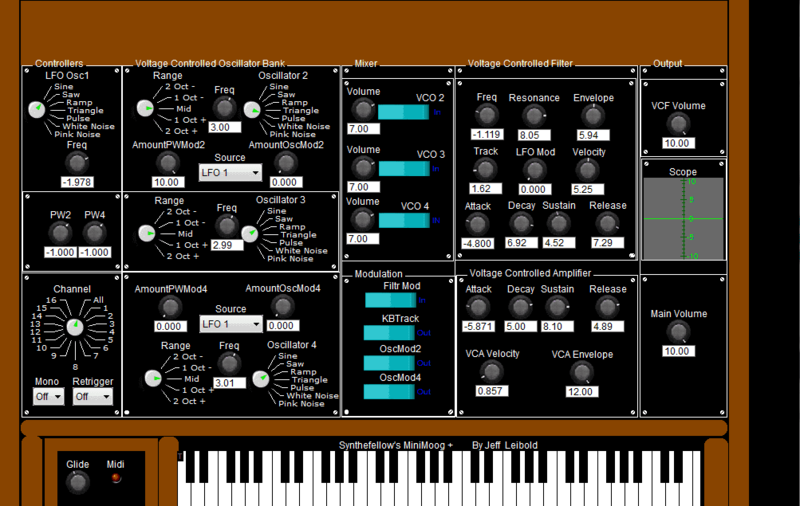 It’s a Synthedit creation : It works for Windows and 32 bit VST hosts. You can also found a polyphonic version (MinimogueLuxus VST). The three oscillators are here, and the filter does the job. A simple arpeggiator is also a nice addition. A free VST that can stand for the “best free VST recreation of a Moog synth” title. Sounds good, works for Windows (32 bit). Created with Synthedit, it sounds different than the two previous VST synths, but it sounds good. And that’s all we want. It’s free, and works in all 32 bit VST host under Windows. 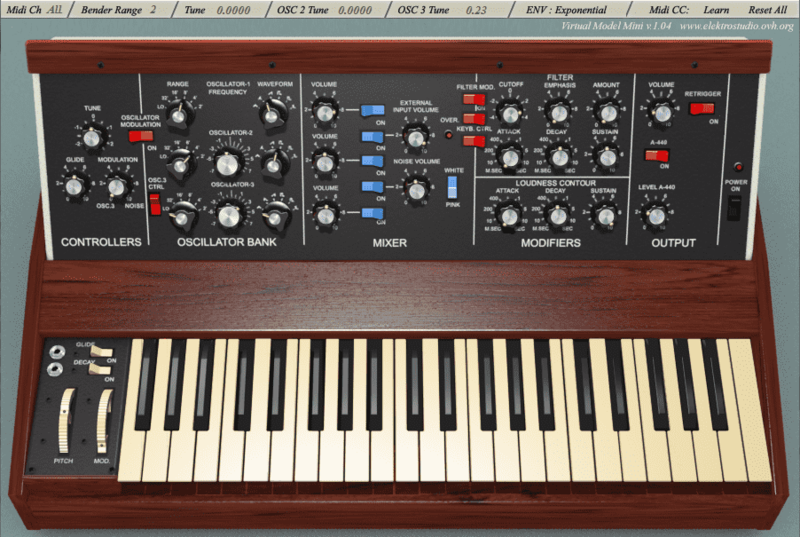 Emulation of a Minimoog model D. Created with synthedit. It’s not bad. It’s not really a Minimoog emulation, but with its two oscillators and the filter set on “MINI” , it does “Moog-ish sounds”. The quality is superior. Don’t forget to check out the Taurus emulation on the same site too ! ASynth VST is donationware, and still one of the best VSTi. This is an oooold VST plugin created with Synthedit about 10 years ago. It has some playing/retrigger bugs, some parameters are not well “calibrated” and the presets don’t do it justice. But with some tweaking, it can do nice leads and bass ! 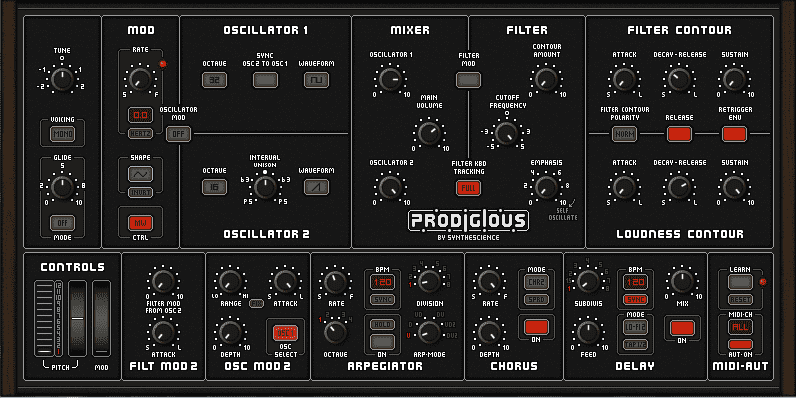 A good synthedit creation, it’s inspired by the legendary miniMoog, and it adds some interesting features : chorus + delay. You can modulate the filter, and there’s an arpegiator! This entry was posted in VST plugins and tagged emulation, freeware, minimoog, moog, synth on 20 October 2014 by Wavosaur. how do thet compare to minimonsta ? Thank you for sharing. Btw some of this VST have very good design, even if its absolutely free. Great work.